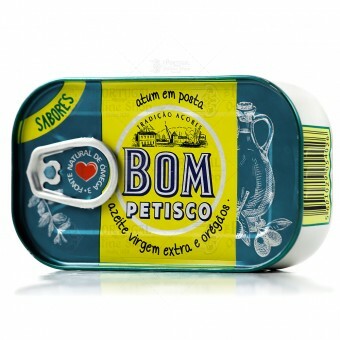 Bom Petisco is one of the most known Portuguese brands from the Azores. Preserved in Extra Virgin oil filled with Oregano. Transversal, modern and trendy consumption. Tuna is one of the richest foods as it is an excellent source of proteins of great biological value, of vitamins and mineral salts, with the advantage of being low on saturated fats and a high concentration of Omega-3. Nice product. My mother in law likes it.